The Distinguished Young Women of Hawaii Scholarship Finals will be taking place at the Sacred Hearts Academy Auditorium on Sunday, February 8th at 1 PM. Pre-sale tickets are available from any participant or you may email dywhawaii@yahoo.com. Tickets at the door will be $25. This year, Sacred Hearts Academy has three young women competing for the Distinguished Young Women of Hawaii Scholarship. You can see their profiles and the profiles of the other contestants on the organization's Facebook Page. 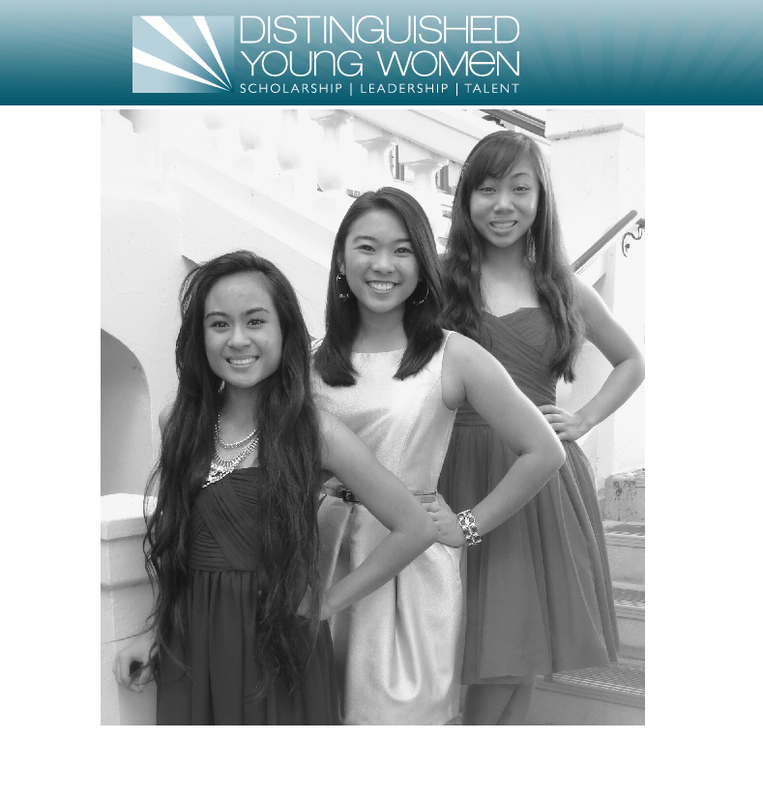 Angelyn Tabalba, Megan Garcia and Angelique Racpan are our three finalists are seniors and their profiles on the Distinguished Young Women of Hawaii Facebook Page are embedded are below. Well, congratulations to the winners. Beauty and brains. Hope you manage to stay inspired no matter what comes in your way and never be afraid to use assistance of https://topwritingreviews.com/services/rushessay whenever needed. You can also check reviews on Rushessay.com. The world is better thanks to you.